The ChromoTek rat monoclonal anti-RFP antibody 5F8 has been cited for the use in immunofluorescence (IF) and immunohistochemistry (IHC) experiments by 91 peer reviewed articles. It is thus the anti-RFP antibody referenced most often at the database citeAB. This top rank is the result of its performance and quality. 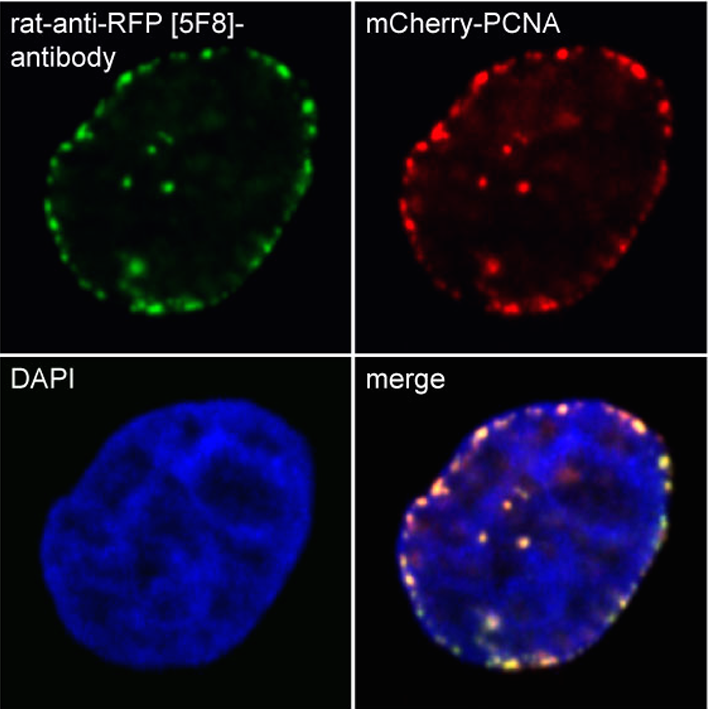 The anti-RFP antibody 5F8 recognizes common RFP variants including mCherry, mPlum, mRFP, mRFPruby.